What makes us different is that we are powered by a belief that community relationships and networks matter: people and especially young people are influenced by a range of connections. Family, community culture and expectations, peer groups and teachers all play a part. There is an African saying that “It takes a village to raise a child”. We take a holistic view of the challenge to offer young people a good future and that is why our vision is to serve the whole community. We know local people as people and we care what happens to them. We actively seek to build trust. We provide a safe, sociable and non judgemental place to meet, join in activities, have fun and acquire knowledge. We are not a 9-5 service; we’re on hand weekends and evenings. We help people represent their views and find their voice. Our activities are designed to help everyone, ourselves included, get to know other people in the community. We give hands on, tailored 1-2-1 practical support where it is needed. There is a wide range of activities on offer. People can choose what they want to take up. We know we can’t do it all ourselves so we pro-actively seek effective partnerships with other organisations in the community such as the police, schools, the council and housing associations. We help people learn from their experiences and move toward choices and behaviours that work for them. There are loads of good opportunities – we put people in touch with what is available, whether it is addiction services or just better healthcare or education. We can help people find the pathways to get what they need. We think it is important to have a kind word for young people, it is all they need sometimes. We do not offer quick fixes – our work is the culmination of outcomes. We work for long term impact. We work with other support agencies and refer issues that are outwith our field of expertise. We offer flexible learning that helps young people learn from their experiences and move toward independent choices and greater self esteem. 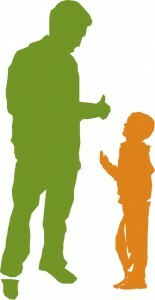 We provide family support and tenancy programmes to assist the full spectrum of the community.